Web-spinning out of AMAZING SPIDER-MAN! 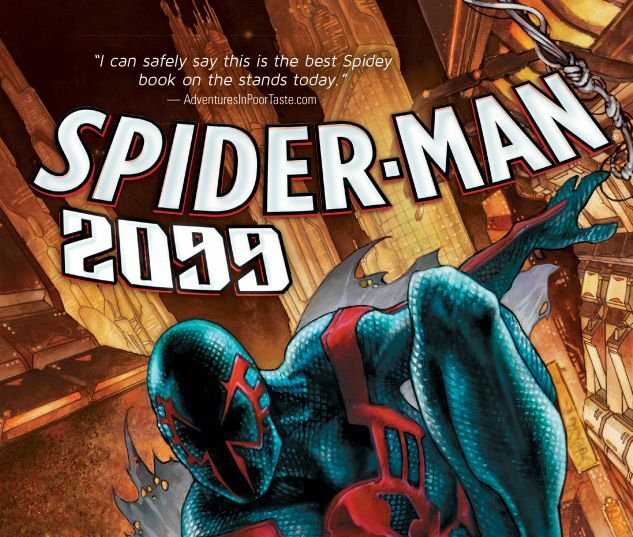 Miguel O'Hara is Spider-Man in the year 2099, but he's currently stuck in the present day. But here, the evil future corporation Alchemax has just been formed - and Miguel has a chance to stop its corruption before it starts! 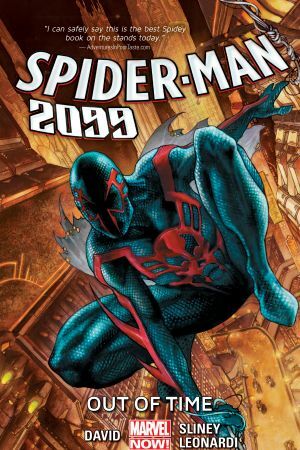 However, Spider-Man 2099 soon discovers he's not the only one hoping for a better tomorrow. When his uneasy arrangement with Alchemax lands him in a war zone, Miguel must fight for his grandfather's soul - and when the Scorpion attacks and Morlun shows up hunting spiders, Miguel finds himself at the EDGE OF SPIDER-VERSE! 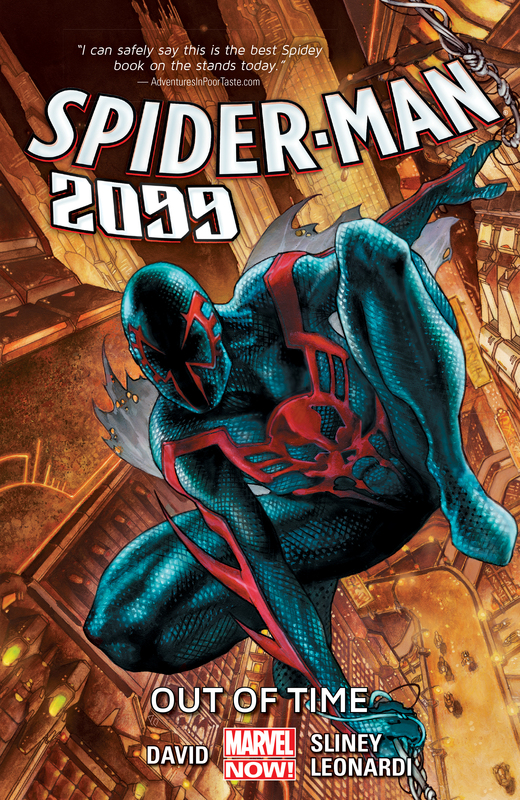 Join Spider-Man 2099 creators Peter David and Rick Leonardi, and artist Will Sliney (SUPERIOR SPIDER-MAN TEAM-UP), for the most adventure you'll find this side of the 22nd century! Collecting SPIDER-MAN 2099 (2014) #1-5 and material from AMAZING SPIDER-MAN (2014) #1.